Gardeners often plant pears and apples in their yards so these fruits are relatively abundant. I usually find myself in receipt of several boxes of fruit every year from tree owners eager to rid themselves of excess fruit. While I appreciate the gift, what I would really enjoy is for people to bring me weird stuff. Like quinces. I'm always surprised how few people grow quinces. Is it because they are barely edible? Or is it just a prejudice against irregular-shaped, yellow fruit? I bet that's it. Raw, straight-off-the-tree quince is as appealing as a bitter-tasting rock. But think of it more as a hidden gem. Once cooked or made into jelly, quince is delicious and beautiful. You should try it! There are many fruits in the rose family (apples, peaches, pears, etc.) but quinces are among the easiest to grow at home. They stay a manageable size, and have fewer problems with pests. A late-flowering tree, quince has few problems with late frosts. On paper, quince has all the same pest and disease problems that pears have, including codling moth and fire blight; however, I seldom see trees in the Owens Valley with serious issues. These omnipresent problems seem to be satisfied for now with making apples' and pears' lives miserable. You'll probably have some damage, but at a lesser scale than pears. One mature quince tree will, in all likelihood, provide a family with more than enough fruit. Essentially any variety you find will work in our area, but don't confuse edible quince (Cydonia oblonga) with flowering quince (Chaenomeles species). They are not the same thing. 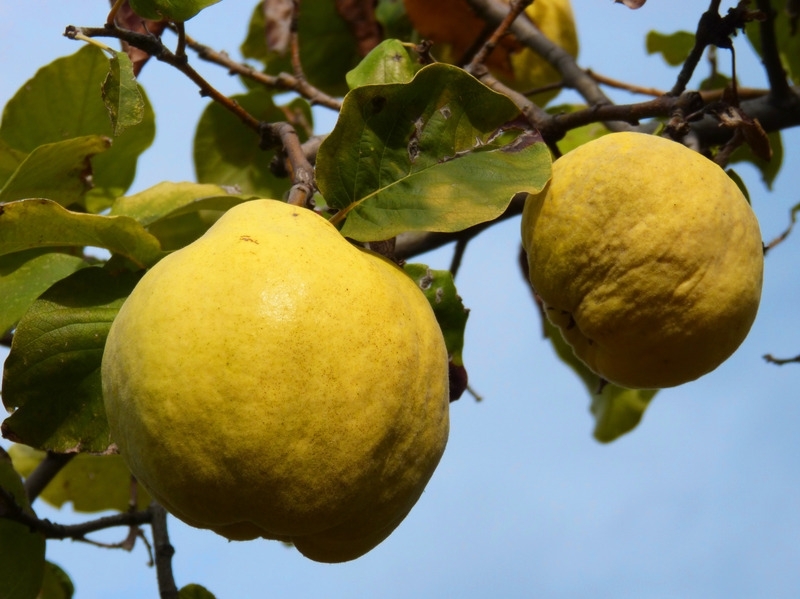 Quince will set fruit without cross pollination. If you do have 2 quince trees, it will probably set fruit better. And you'll have more to share. I've noticed that quince in Owens Valley seems content with part-day shade, making it an option in smaller yards. Deep shade won't work, but a small amount is not a deal breaker. So, other than throwing it in self-defense, what can you do with quince fruit? In theory you can let it sit around for a long time and it will soften enough to be edible. That's called bletting. I've never tried it that way. I like making jelly with quince. 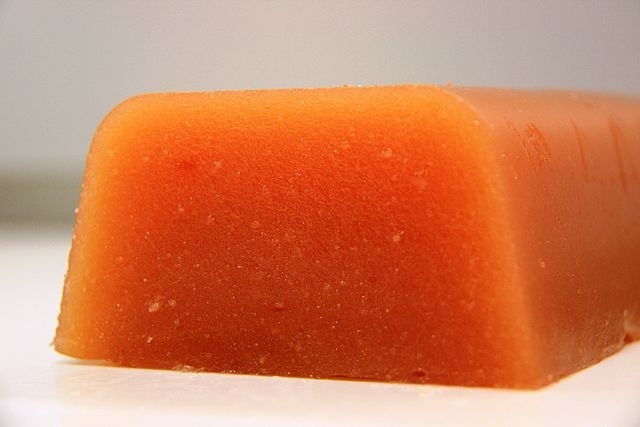 (Recipe: https://nchfp.uga.edu/how/can_07/quince_jelly.html ) Fun fact: the word marmalade originally referred to a jam made of quince. When quince is cooked with sugar, pigments are formed making for attractive orange and red foods, especially desserts. A quick Google search leads to many ideas like dulce de membrillo. If you're thinking of putting in a few fruit trees, consider taking the road less traveled and plant a quince. If nothing else, you'll look smart answering "What kind of fruit is that?" questions. Just made quince jelly. Not quite such a lovely color as shown, but lots of pectin so easy to make. I once made jelly from very aromatic flowering quince fruit (Chaenomoles "Toyo Nishiki"). Fruit lost all its bouquet during cooking and was almost too acidic to eat!